Gov. 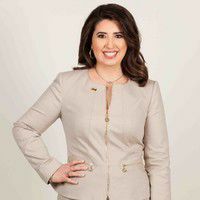 Greg Abbott announced on Friday the appointment of Valerie Vargas Cardenas, executive vice president of Mortgage Banking Operations for Lone Star National Bank in McAllen, to the board of directors for Texas State Affordable Housing Corporation. Cardenas’ term ends Feb. 1, 2019. As the state grows rapidly, the nonprofit seeks to serve low-income families and other underserved populations who are in need of housing assistance through various financial channels. The organization tries to “address this critical and expanding need with initiatives such as first-time home buyer grants and other down payment assistance programs,” its website states. The corporation also leverages private donations, selling affordable housing bonds that are tax-exempt to fund “our wide spectrum of housing programs” — this in addition to utilizing PRIs, or program-related investments, to assist nonprofit developers to create affordable housing. Foundations and financial institutions make such investments. Cardenas currently serves as a planning and zoning commissioner for the city of San Juan and has served as a committee member for United Way, president of the Pharr Chamber of Commerce and the American Diabetes Association of the RGV.